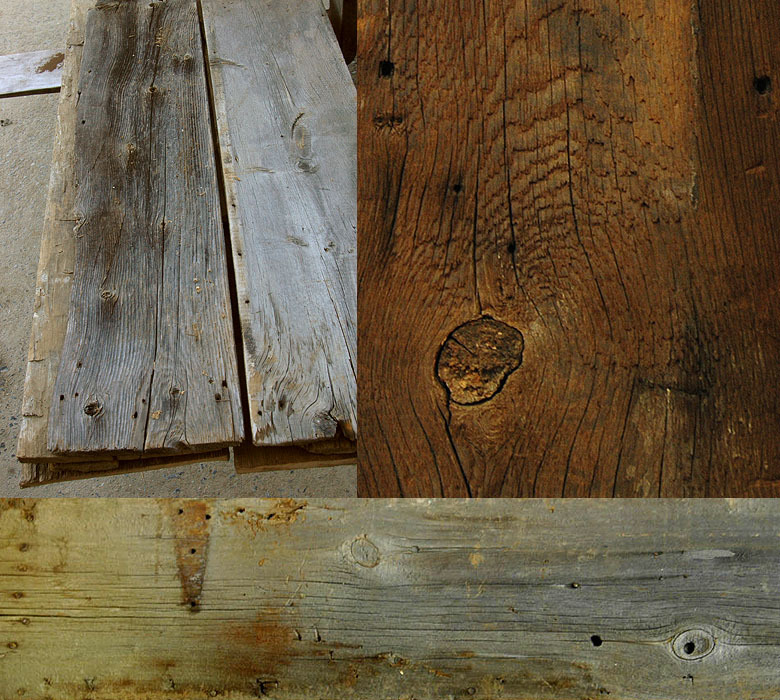 “Antique” siding collected from old barns & structures. Material is typically Heart Pine however it can also be White Oak, American Chestnut or even Hemlock. Boards usually run about an inch thick with 10 to 12 foot lengths, and can include knots, checking, cracks, bug holes, nail holes and more.